Vaping is a zero-cost, consumer-driven solution to fight smoking that should get public health regulators excited. Instead, the EU has adopted legislation that severely limits advertising for vaping, writes Marc Michelsen. Marc Michelsen is Senior Vice President for Corporate Affairs and Communications at Fontem Ventures, a subsidiary of tobacco company Imperial Tobacco involved in e-cigarettes. This week, the leading British anti-tobacco organisation Action on Smoking and Health (ASH) published its latest annual survey on the habits of vapers. In Great Britain, as in North America and Europe in general, the number of vapers – or users of electronic cigarettes, devices which provide nicotine to smokers without the harmful constituents from burning tobacco – continues to rise steadily. Surely the most important fact to be extracted from ASH’s survey is this: nearly 50% of all vapers are now saying they are ‘ex-smokers’. Two years ago, only a third of them claimed this significant achievement. That means more and more e-cigarette users are giving up tobacco completely; a result that should surely have the international public health community jumping up and down in glee. In fact, given the growing consensus among public health experts that vaping is up to 95% less harmful than tobacco, the news that vapers are swiftly abandoning a lifetime of tobacco addiction should be good news for just about everyone, everywhere. What’s more, in the light of the growing consensus, you would logically assume that governments and public health bodies worldwide would be embracing e-cigarettes and actively encouraging the world’s 1 billion smokers to switch to vaping as fast as possible. In any other area of public health, after all, when a significant opportunity arises for reducing harm on an enormous scale, arms are opened, and funding is quickly allocated for widespread, heavy promotion. The interesting thing with vaping though, is that unlike the hugely expensive state-funded public health campaigns we’ve become so accustomed to seeing – all urging us with increasing desperation to adopt a more preventative attitude to our health as budgets crumble under economic stress – e-cigarettes, by contrast, have thus far cost governments absolutely nothing. Here, in vaping, lies a potentially major tool for tobacco control approaches worldwide. And it is occurring, right now, with zero interference, at zero cost. What government or state-funded anti-smoking body wouldn’t be delighted by such a turn of events? Quite a few, as it turns out: On both sides of the Atlantic, in the US and in Europe, governments cannot seem to accept that the solution to one of the world’s gravest health challenges might be right in front of them. On 20 May, the EU’s Tobacco Products Directive comes in to force with heavy implications for the entire vaping sector and, consequently, the entire continent’s health. You might ask why a product that does not even contain tobacco might be the subject of a ‘tobacco’ directive, but that is another story – and in typical European fashion, the EUTPD is a compromise. On one hand, it sets certain limits on products in respect to their safety and composition and bans their sale to children. These things are pragmatic and commendable: Product reliability and safety will only lead to increased consumer confidence over time. Yet on the other hand, the directive severely limits advertising and marketing in the mistaken view that this is somehow needed to protect our children. The British study last week, however, shows that only two in every 1000 vapers are people who have never smoked tobacco. Similar findings are repeated in many other surveys. Vaping is not attractive at all to people who do not smoke. Nevertheless, from Thursday (19 May), advertisements for vaping on TV or in the papers are banned. Limiting promotion of a product that, according to scientific evidence, we should be actively encouraging seems very strange – but it is surely not nearly as foolish as the action the US Food and Drug Administration is planning to take. Last week, it unveiled new regulations – a set of rules which will probably have far more devastating consequences for the protection of public health. The regulation is deceptively subtle. Manufacturers can ‘advertise’ and ‘make any flavours they want’, says the FDA, as long as they ‘get approval’ for every product. Seeking ‘approval’ sounds perfectly reasonable on paper. But what the FDA actually wants is neither particularly reasonable nor simple. Every single individual vaping product will need to go through a long and expensive research process; a process which will effectively drive most products completely out of the market by demanding scientific information that one expert says is ‘literally impossible’ to get. The consequences of these legislative frameworks in both Europe and America, are akin to not just missing an open goal, but kicking the ball out of the stadium. Instead of encouraging the development of the whole category, governments are putting up roadblocks. Instead of saying “This is great, we want to work with you,” governments react with fear and caution. Instead of sending a positive message to vapers, most of whom wholeheartedly want to stop or reduce tobacco, governments on both sides of the Atlantic continue to confuse them with mixed messages and, by default, imply that tobacco is in some way preferable. 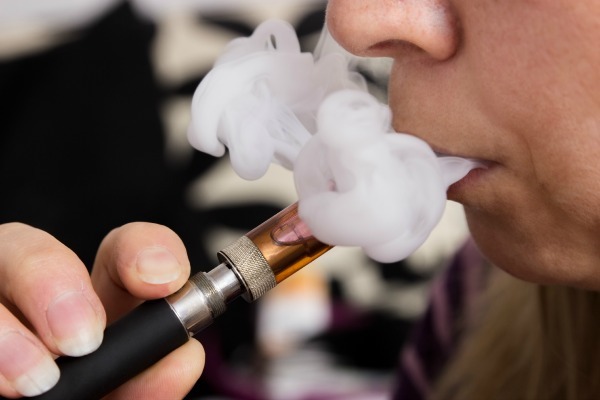 The reality is that vaping is a private sector-led revolution that has so far helped millions – and it is perhaps because it has not come from the public health community that there is such scepticism. Yet in the face of such overwhelming evidence, we should expect and demand from our elected officials and public health bodies that health policy be based on sound public health outcomes. We believe that vaping can help millions more who have not yet switched from tobacco to e-cigarettes. We need the public health community to come on board and work with us to do that.